While your Aston Martin may be in your preferred colour and trim, there’s always an opportunity to further personalise your car. With official Aston Martin parts and accessories, you can choose from a vast range of products that can bring your car up-to-date, add a dose of personalisation or simply make your car stand out from the rest. We can guarantee only genuine Aston Martin parts are used when servicing your car to certify our high standards. Every Aston Martin is created to be at the pinnacle of its capabilities, and with genuine Aston Martin parts, we’re able to ensure that your car is always at this high standard. To help keep this quality and authenticity, Aston Martin can offer over 70,000 genuine parts for models past and present. We have a comprehensive selection of official Aston Martin accessories available. The range of these accessories is extensive and includes the likes of luggage sets, clothing, car covers and personal items such as wallets, purses and phone cases. 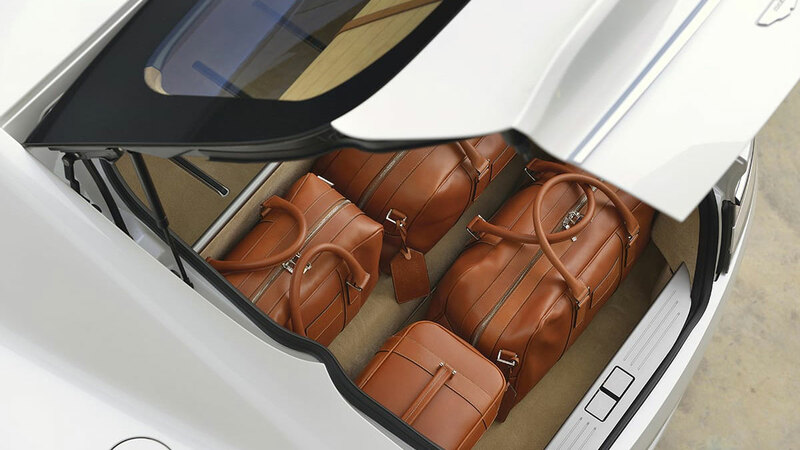 Aston Martin luggage sets are of the highest quality, handcrafted in Britain and are designed specifically to fit within the boot of all Aston Martin models, maximising the available space. Luggage sets are available in an array of colours, including black, tan or cream leather, as well as black sport performance fabric; you can also have yours made to order in a custom colour combination. To see all the Aston Martin accessories available for your model, please see the official Aston Martin website. You can also download the latest brochure.